Save on Lab Showers at Portable Building Guys. Top brands include Bausch & Lomb. & Bausch & Lomb. Hurry! Limited time offers. Offers valid only while supplies last. 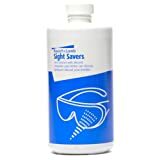 Lens Cleaning Soln, Silicone, 16 oz.